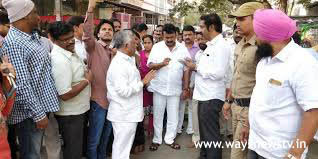 Chief Minister of Arunachal Pradesh Arvind Kumar, Mayor Bondu Rammohan and GHMC Commissioner Janardhan Reddy will visit the Ameerpet in Hyderabad on Saturday. Under the HRDCN, Amir Petta Kanakadurgamma Temple to Fatehnagar Fly Over Bridge, from Dargah to Umesh Chandra shrine in Ameerpet, White Road Taps on Secunderabad Minister Road. In this context, the Minister and the officials will visit those areas.